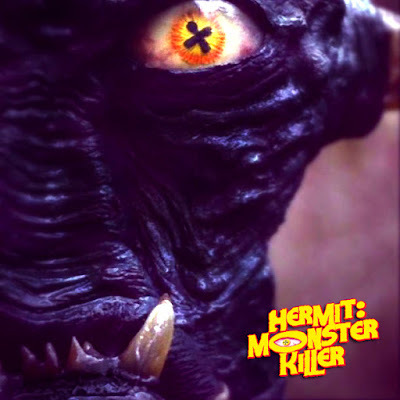 From the producer of the truly bizarre horror comedy Cannibal Fog comes Hermit: Monster Killer which is the first Swedish monster movie since 1959. It has been made using the old Roger Corman movies as a template. He of course is known for his multitude of B-movie 'classics'. From the trailer (included below) it seems that after a meteorite crashes in rural Sweden an alien monster arrives with it, it is up to the redneck community to band together to beat the creature. It looks like it is to have a comedic edge to it and features some nice looking effects such as someone getting their face ripped off, the trailer also seemed to indicate children aren't exempt from the beastly being. 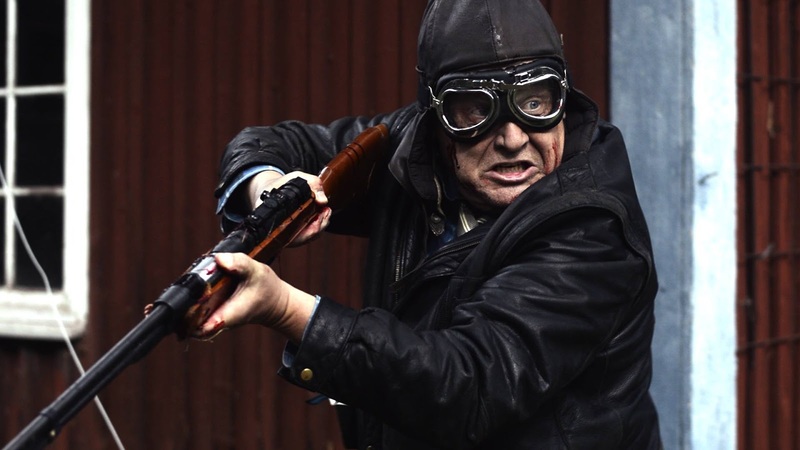 Produced by Jonas Wolcher, directed by Ola Paulakoski, and written by Fred Anderson (Kraftverk 3714) it promises to deliver a 'full action monster movie with great acting and special effects'. It apparently received a huge response at the Weekend of Hell horror festival last year. Hermit: Monster Killer is almost ready for release so if your after a monster movie with a Swedish twist you've been waiting a long time, this should scratch that particular itch.